Delta is bringing customers more options for travel across the Pacific beginning today with new direct service connecting Minneapolis/St. Paul with Seoul, South Korea, and Seattle with Osaka, Japan. "These new routes are further proof of our commitment to building the most comprehensive and reliable network in the trans-Pacific, together with our partners at Korean Air," said Steve Sear, Delta's President – International and Executive Vice President of Global Sales. The two new Delta flights, together with Korean Air-operated service between Boston and Seoul beginning April 12, are the first additions to the partnership's network since the joint venture launched in May 2018. 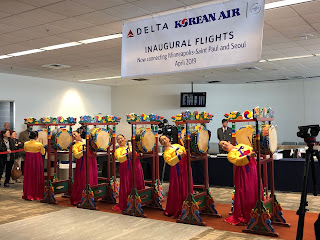 MSP-Seoul inaugural eventIn addition to enjoying among the best connections between the Midwestern U.S. and Asia, customers on Delta's new Seoul-Minneapolis/St. 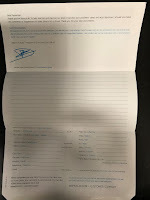 Paul flight will enjoy will airline's award-winning service onboard a newly upgraded 777-200ER. This aircraft features all new cabins, including 28 award-winning Delta One suites with a full-height door, memory foam seats and state-of-the-art design; 48 Delta Premium Select cabin seats with elevated personal service, plated meals and more space to stretch out with recliner seat rows; 90 seats in Delta Comfort+ and 112 all-new Main Cabin seats - the widest in the Delta international fleet - in a nine-abreast configuration. The new cabins enjoy in-seat USB and 110V power ports, inflight Wi-Fi and new dynamic LED lighting that varies by phase of flight fostering a relaxing, refreshing environment onboard. These flights also feature menus in all cabins crafted by Michelin two-star Chef Kwon Woo Joong. 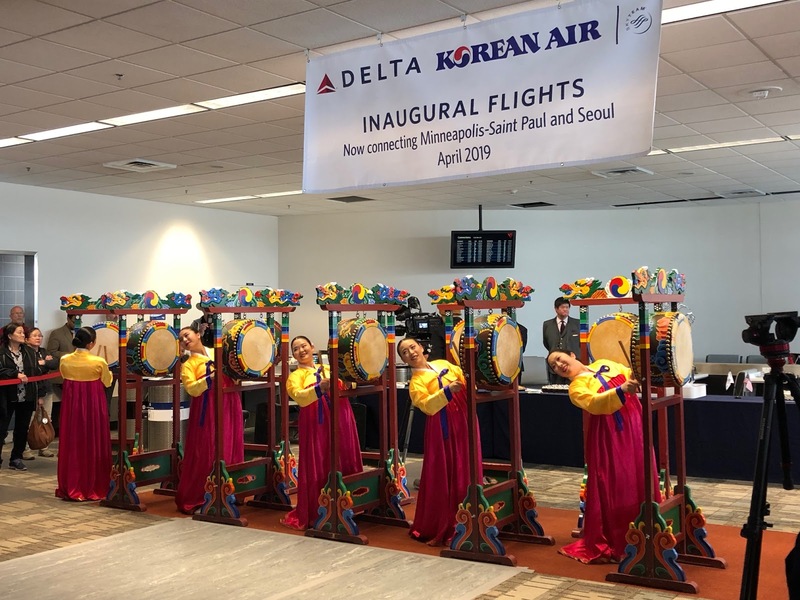 "This new flight from Minneapolis furthers the economic development of both cities and serves to create an even tighter link between South Korea and our region," said Bill Lentsch, Delta Executive Vice President – Flying/Air Operations, at an April 1 ceremony celebrating the new service. The service is Delta's second trans-Pacific nonstop flight from its MSP hub, complementing existing service to Tokyo-Haneda. The Seattle-Osaka route represents a significant addition to the Delta and Korean Air trans-Pacific joint venture partnership, which serves 12 destinations in Japan — giving shared customers optimized schedules, a more seamless customer experience and improved loyalty program benefits. 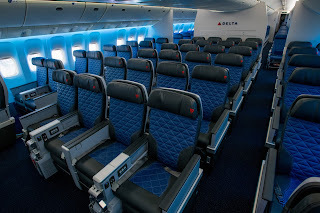 Delta is deploying Boeing 767-300ER aircraft on the new route, equipped with 25 fully flat-bed seats in Delta One, 29 seats Delta Comfort+ and 171 seats in the Main Cabin. 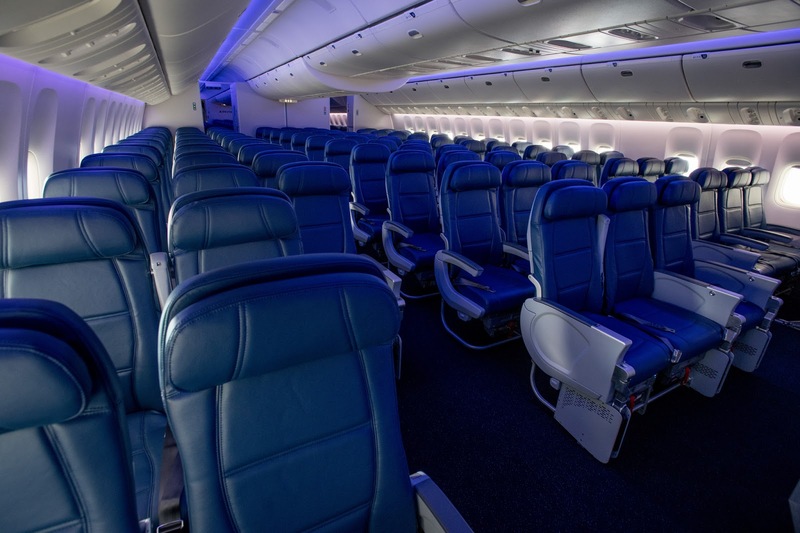 Every seat has access to Wi-Fi, free personal in-flight seatback entertainment screens and power ports. Meals, created in partnership with Delta's Michelin two-star consulting chef Norio Ueno, will be featured in all cabins of service. "Connecting the world is our mission, and in Seattle, Delta and our joint venture partners bring the world closer each day with flights to 15 international destinations and even more throughout the United States," said Tony Gonchar, Delta's Vice President – Seattle. "Our Osaka service continues that mission, giving Seattleites direct access to one of the largest cities and business centres in Japan and the opportunity to explore our nearby Seattle sister city – Kobe, Japan!" Delta operates more than 150 peak-day departures to more than 50 destinations from its hub at Seattle-Tacoma International Airport. Delta is Seattle's fastest-growing airline, growing by more than 50 % since 2012 and 5% this summer. With 32 peak-day flights between the U.S. and Asia, the joint venture between Delta and Korean Air offers customers world-class travel benefits across one of the most comprehensive route networks in the trans-Pacific market, with over 80 destinations in Asia and more than 290 in the U.S. Following the launch of the partnership in 2018, the airlines have implemented full reciprocal codesharing across their respective networks to over 200 new markets, improved reciprocity across loyalty programs, and worked together to create an increasingly seamless customer experience.